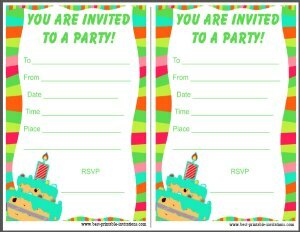 I tried to design the funnest, brightest free printable birthday invites for children that I could - and this is what I came up with! 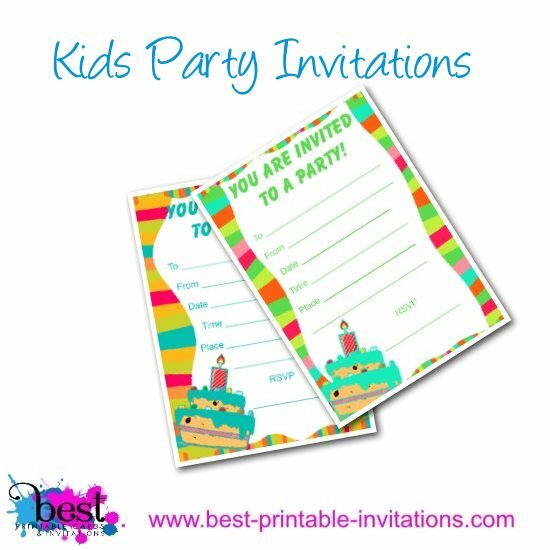 The two bright wavy invitations on this page are very striking and sure to be a crowd pleaser with your guests. 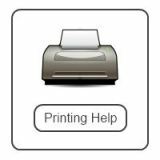 Just download and print - there is no need to sign up or register. 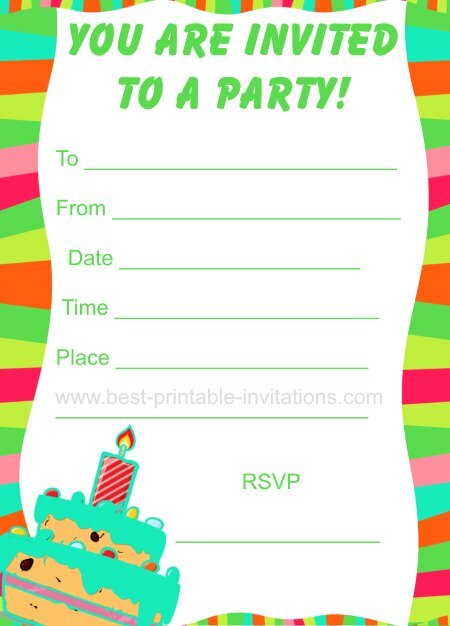 They print out two invites per page - just select either letter size or A4 paper. 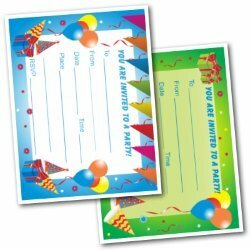 Wavy invite one! This one is bright and bold with oranges, greens and teal. Of course all invites need a cake - so this is no exception! 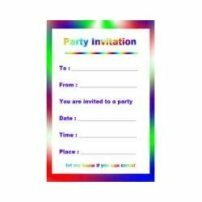 A very unusual invite that will be suitable for a wide range of ages, and party types. Good for boys and girls! 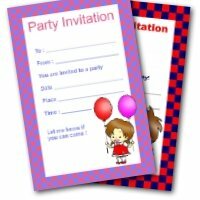 Why not have this invitation printed for you - and delivered to your door. 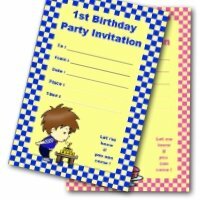 Printed onto 5" x 7" card, it comes complete with envelope. 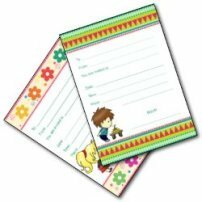 There are no minimum order quantities - and a 100% money back guarantee. 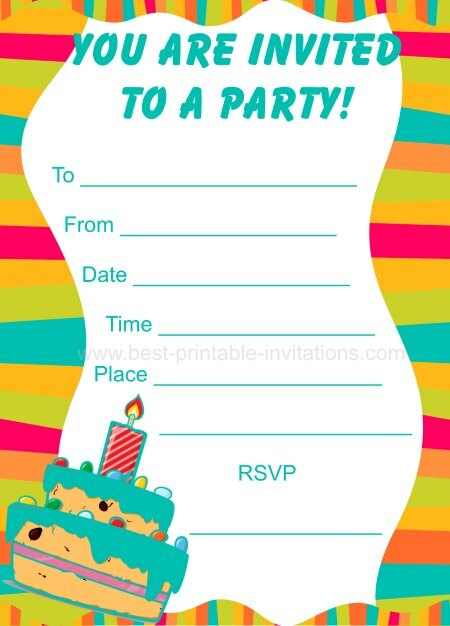 Easy to personalize with your own party details. A slight change of color for this one. There is still red, but also lots of different shades of green. I couldn't make my mind up which of the two I liked the best! What do you think? 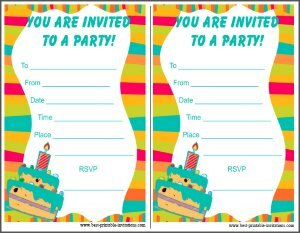 I hope you love the two invitations on this page as much as I do! I think they are really fun. 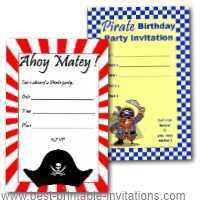 I think they would work well for all types of birthdays - or even just special occasions. For both girls and boys, and for a wide range of ages - very adaptable. 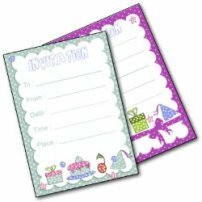 They should both print out very nicely - and are not too ink greedy! Perhaps just make sure you have plenty of the green. 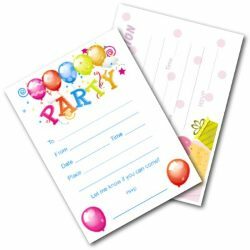 For an interesting effect you could also try printing them onto colored paper. You might have to experiment but I think this could look great. 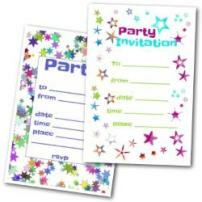 Or how about adding a little sparkle with a glitter pen.